Business invest get daily money tips and more! Also Encrypting link to defend from viruses safe to visit. In a state-wide effort to curb dangerous driving habits, the State of New York has designated the first week in August as "Speed Week". Speed Week involves a focused campaign against the perils of driving too fast as well as other forms of distracted driving. While the anti-speeding program enforced by the particular state's police may be concentrated on those that drive in NY, the message should resonate all over the United States. Country-wide car insurance claims support the findings of the New York State Police Superintendent George P. Beach II. "Studies have shown, speeding kills," said the police superintendent in a related interview. "During this campaign and year-round, we will work to reduce this kind of dangerous driving." The summer and particularly the month of August has been chosen for the period when police personnel target speeding driving due to studies that shine a black light on the same time span in the year 2016. That year was infamously noted for the most driving fatalities occurring as a result of speeding drivers. Tragically, twenty percent of all 2016 auto deaths were associated with driving above the speed limit. As per the National Highway Traffic Safety Association, three out of every ten vehicular drivers unabashedly admit to speeding. Last year's 2017 summertime law enforcement of "Speed Week" concluded with approximately 21,000 traffic summonses that were comprised of approximately 9,000 tickets in regard to speeding. The means of the campaign is through police ticketing. The message? Whether you drive within the borders of New York State or anywhere else in the United States of America, let's work together to halt the frightening trend of driving fatalities resulting from speeding while driving. Implementing the message is easier than one may tend to think with these six simple tips from the insurance industry. 1. Remember the possible results of speeding while driving: life threatening accidents, police ticketing, a bad driving record and more expensive auto insurance rates. 2. Never drive when agitated or excited. Make a concentrated effort to relax prior to driving. Take a deep calming breath, tune into classical or softer music and stop at the side of the road if you need to compose yourself. 3. Give yourself more time in reaching your destination so you will not tend to speed. 4. Make sure to give yourself extra travel time. 5. 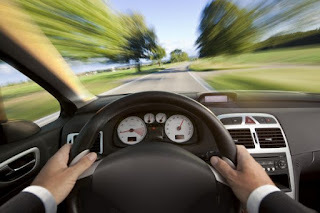 Pay attention to how fast you are going by glimpsing periodically at your car's speedometer. 6. Use the cruise control on your vehicle while driving on level highways. 7. Drive slightly slower than the posted speed limit. A safe driver is a happy driver. Have a great summer! PRIME Insurance: we're a multi-generation family-operated independent agency. We're proud partners with many of the top insurance carriers - big names such as ACE, AmTRUST, ASI, ASSURANT, CHUBB, CNA, Employers, FOREMOST, Liberty Mutual, MetLife, PROGRESSIVE, Safeco, StillWater, Travelers, USLI, ZURICH and more. This gives us the ability to provide all forms of nationwide coverage and bonds at competitively lowest quotes. Visit us at https://www.primeins.com/ or email us at PRIME@primeins.com or call us at 732-886-5751 and HAVE A PRIME DAY™!